Ivan teaches Contemporary Guitar encompassing Jazz & Blues Guitar, Electric Guitar(Rock&Pop) and Acoustic Guitar (Folk), as well as Contemporary Music Theory and Composition (Jazz) at the Shine School of Music. Originally from Belgrade (Serbia), Ivan arrived in Barcelona in 2004 to pursue his music studies and his career in music. He has performed and recorded a number of albums with prominent European jazz musicians (Jordi Molto, Shine, Tal Ben Ari, Jaguatirica, Sophie Jalt) as well as producing albums with his very own Ivan Ili? Trio. 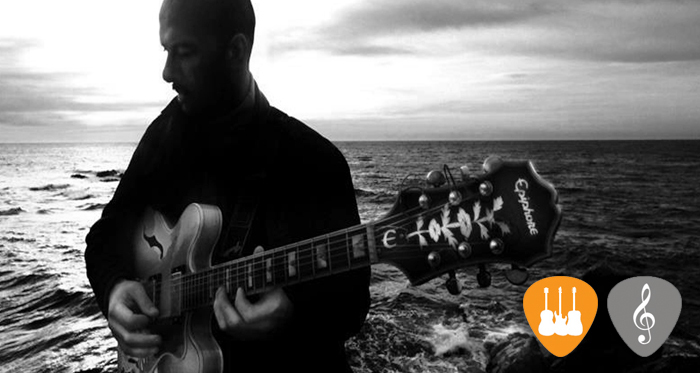 Since 2005, he has been a member of the band Los Moussakis a well-known group of musicians which fuse Balkan and Mediterranean melodies with the contemporary harmonies and rhythms of Jazz, Funk and Rock. Both Ivan Ili? and Los Moussakis regularly perform around Barcelona and, Spain and Europe.